That's right. It's drooly time. Here is my new hottie du jour - Ioan Gruffudd. Ah, the lovely MARK DACASCOS!! Martial arts expert, actor and gorgeous hunk of man-flesh ! The dark, mysterious and totally hot Antonio Banderas. Oh yes I'd have to agree with you there Aeonflux regarding Ioan Gruffudd. I heard him been interviewed once and he has a nice welsh accent. He did a good job accent wise in Fantastic Four. I think I perfer him with a beard though and that's odd for me because I don't nomally like men with facial hair. Here's one man I really like apart from MM that is. Julian is his name. He's not really what I'd call a proper actor, as he's in the adult entertainment business. Oh yes Christhoper Walken is an excellant actor, good dancer but that's as far as it goes for me. The most recent thing I saw him in and yes it was made ages ago was Mousehunt. Even though it was a small part he was so good in it. Boris Terral. 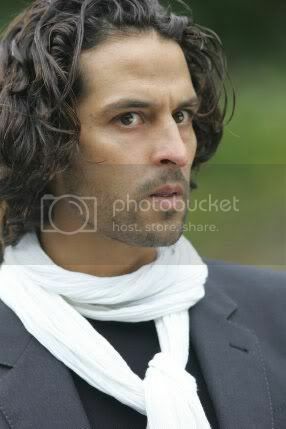 He's a french actor and he's definitely hot. he's definitely hot in that period costume. OMG It's Ioan yet again Sorry I can't help myself! My new mission is to spread the Ioan hotness! AAAHHHH THE ASIAN BOYS ARE HERE ! 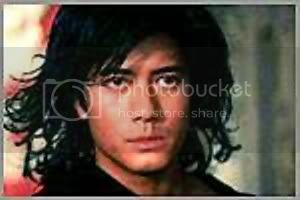 Way to go, Cesare, here's my contribution to Gorgeous men from Asia...Hong Kong's Aaron Kwok...DA-YAMMMM ! !